You are here: CLE Properties Latest News Advice 11 MONEY SAVING TIPS TO SURVIVE THE RECESSION. 11 MONEY SAVING TIPS TO SURVIVE THE RECESSION. South Africans have been having a rough time of things. Petrol prices are at a record high and the price of food has shot up. The weak rand and the remnants of a the worst drought in our history have undoubtedly had a major impact on food prices but, regardless of the reason, it would be fair to say that a large majority of South Africans are finding it more and more difficult to make ends meet. In an economic climate of low growth and policy uncertainty, it's fair to say that prices won't be coming down anytime soon. The crisis is particularly difficult for those who own their own homes, particularly those who have recently invested in their first homes. Basically, the banks don't care if it rains or shines, they still want their money. Selling a home should always be considered a last resort unless you are planning to reinvest the money in a new property. For this reason homeowners should look at cutting every other possible expense before taking a decision to throw in the towel and resort to renting again. • Draw up a monthly budget and stick to it. Include things like entertainment, haircuts, school fees, domestic workers’ salaries, telephones, petrol, food, lights and water, insurance, and car costs (including the cost of a service where necessary). • Review your home insurance. Do not cancel your household insurance under any circumstances. However, take a close look at your policy and ask your broker if it's possible to get cheaper coverage. • Downgrade your car. Trade your car in and opt to buy a cheaper model. Shop around for the cheapest vehicle insurance. • Monitor your electricity usage and cut back where possible. Consider investing in things like a solar geyser and a gas stove in order to reduce costs. • Budget for food and stick to it as much as possible. Keep an eye out for bargains even if this does mean shopping at more than one supermarket for your groceries. • Shop weekly or monthly. Freeze bread and milk and as many other perishables as possible. • Compare meat prices. It's often cheaper to go to a butcher than to buy meat from a supermarket. The same applies to fresh produce. Visit your local greengrocer and compare prices. Better still, consider roping in a few friends and buying fresh produce from your local market in bulk and freezing. • Only buy seasonal produce. The rand isn't looking that great on the international front and you will be paying a premium for imported foodstuffs. • Cell phone contracts can be expensive. Consider downgrading your contract when it expires and going for something cheaper. Again, shop around for the most affordable option. 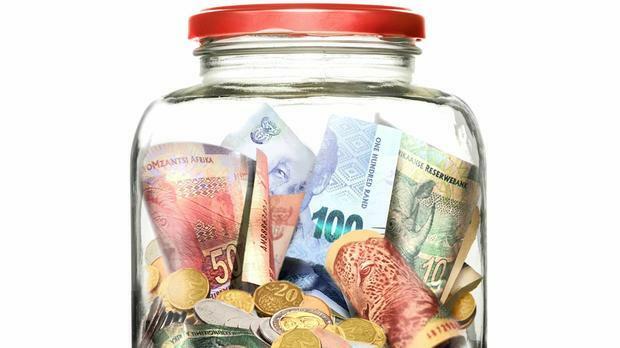 • Open a savings account and put away as much as you can…even if it's only R100 a month. Having access to surplus funds when something goes wrong can be a lifesaver. • Budgeting for entertainment doesn't mean you have to stop enjoying life. Many restaurants offer half price food, buy one, get one free options and other deals on various days of the week. Shop around to see who offers what. Remember that regardless of your cash flow circumstances, things generally get better over time. Hang in there, and try and keep a positive perspective, things may seem far worse than they really are.